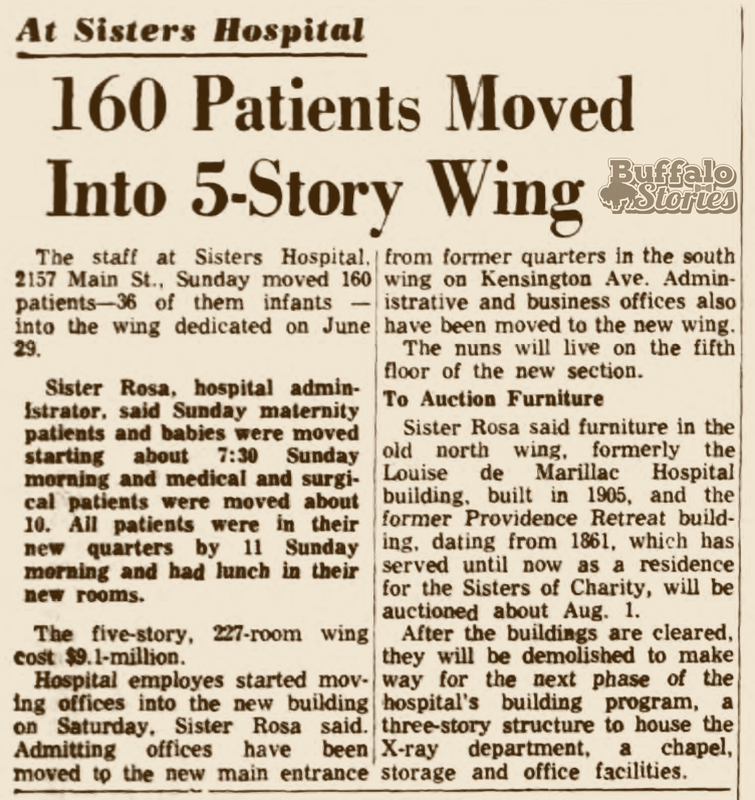 In June, 1965, Sisters Hospital opened a new $9.1 million, 227 room wing of the North Buffalo Hospital. The new wing, it was promised, would offer patients the best of scientific treatment, plus privacy, security, care, and respect. 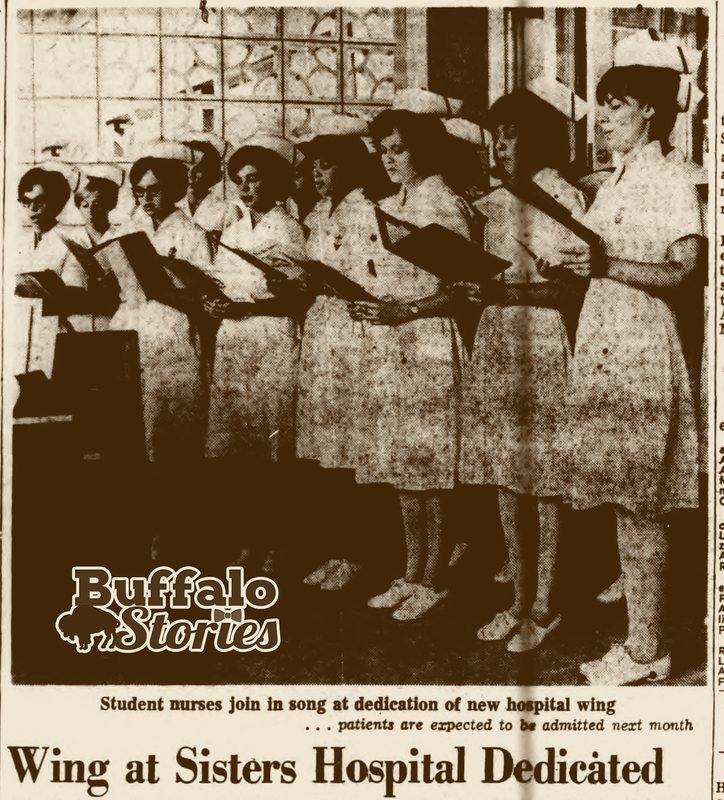 Sisters Hospital was Buffalo’s first hospital, founded at St. Louis and Pearl Sts. in 1848, before moving “out to the country” at Main St. and Delavan Ave., at the site that is currently the home of Canisius College’s Koessler Center. The site where Sisters now stands was The Providence Lunatic Asylum. When it became Sisters Hospital, Father Baker was there to lay the cornerstone in 1905. Portions of the original Providence buildings are at the core of 120 years of expansion on the Main street campus. 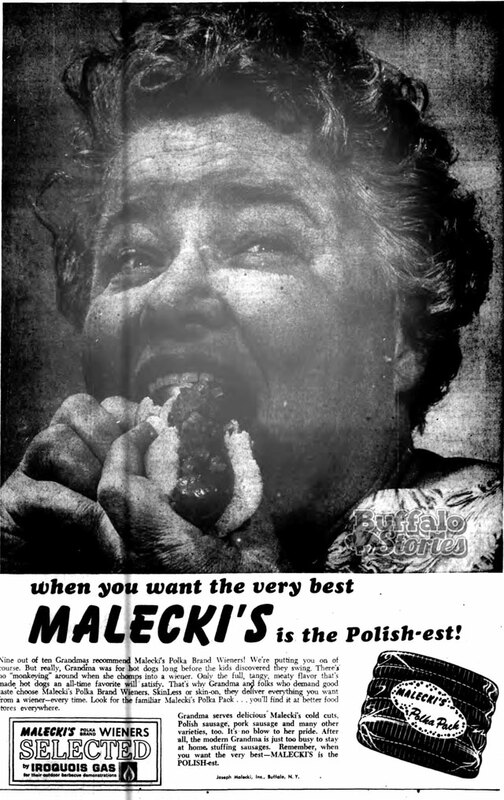 Nine out of ten Grandmas recommend Malecki’s Polka Brand Wieners! There’s no monkeying” around when she chomps into a wiener. Only the full, tangy, meaty flavor that’s made hot dogs an all-time favorite will satisfy. 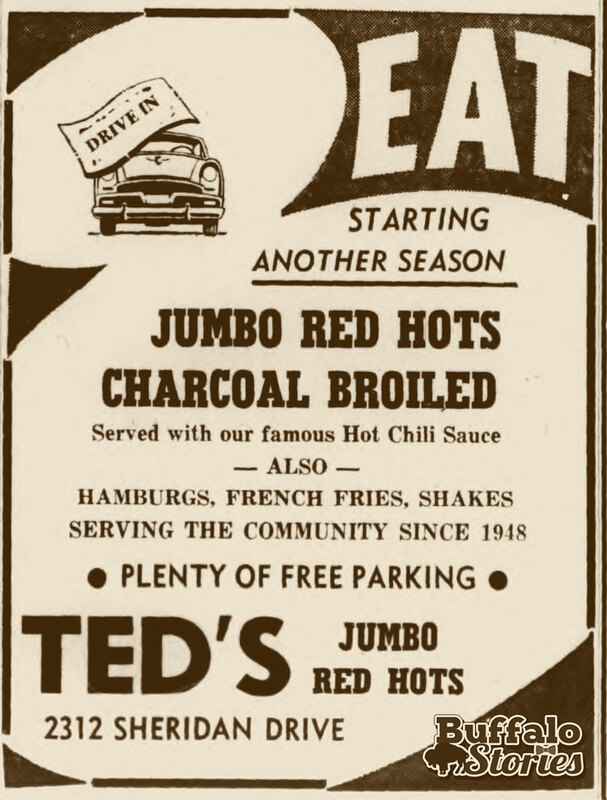 When “The Great One” rolled up to Ted’s Jumbo Red Hots on Sheridan Drive on March 10, 1955 – 62 years ago today – he was one of America’s biggest TV stars. Apparently on the way to Niagara Falls, Gleason’s bright-red custom car, with license plate “10-JG,” pulled into Ted’s around 2 p.m. A man got out of the car and ordered “a tray filled with pizza and hot dogs,” which he took back to the car while Gleason and two women waited back in the car. At least 20 people saw the TV star sitting in his car, but he never got out or talked to anyone there in the 20 minutes they were eating while parked there. 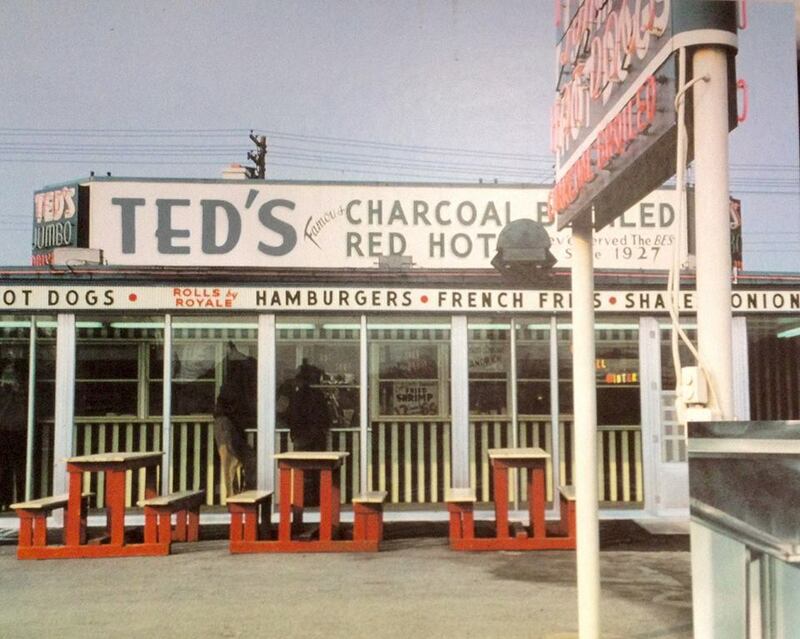 Ted’s has been in the same location on Sheridan Drive since 1948. Until a stroke at the age of 78, Liaros had spent most of 57 years working 16-hour days, slinging popcorn and peanuts first from a wagon, then starting in 1927, hot dogs, loganberry and even pizza from a small shack that had been abandoned by construction workers after the completion of the Peace Bridge. 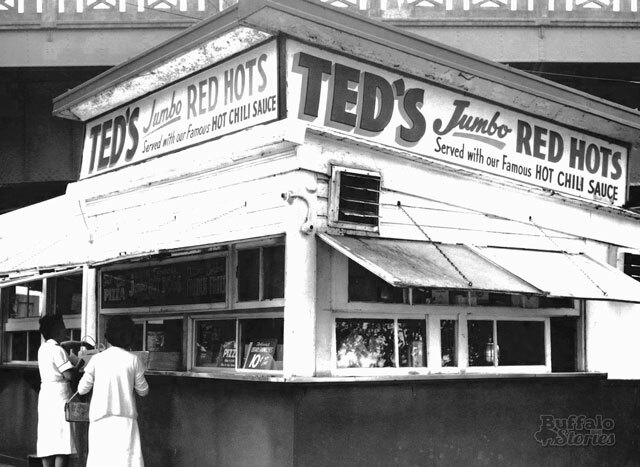 Even with the Peace Bridge stand operating, Ted’s lunch wagon was still a familiar presence at the Clinton-Bailey Market until the Sheridan Drive location opened. Liaros’ death on Oct. 24, 1969, came only weeks after that original stand at the foot of Massachusetts Street near Niagara Street was bulldozed on Sept. 15 to make way for an improved I-190/Niagara Street interchange. In 1957, the Liaros family built another stand near the Peace Bridge in Front Park near Porter Avenue, and occupied it through the early 1970s, when they built another restaurant on Porter Avenue. 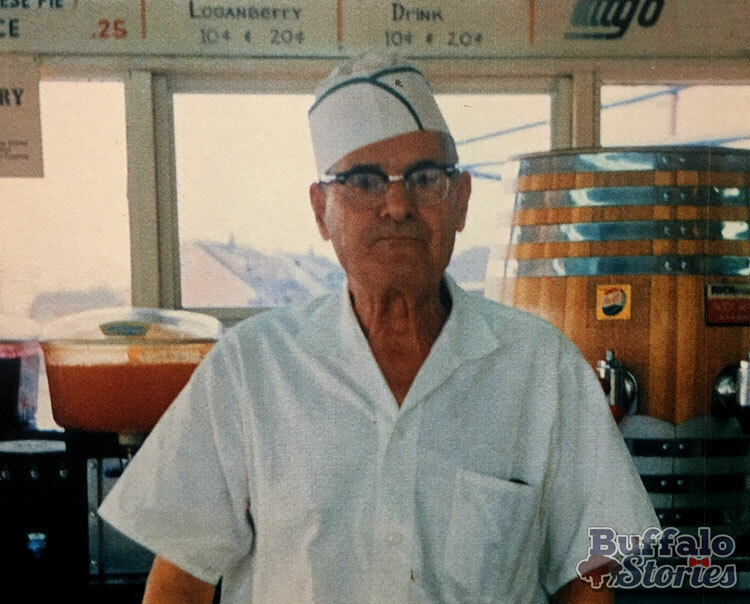 Ted Liaros worked 16-hour days for 57 years. 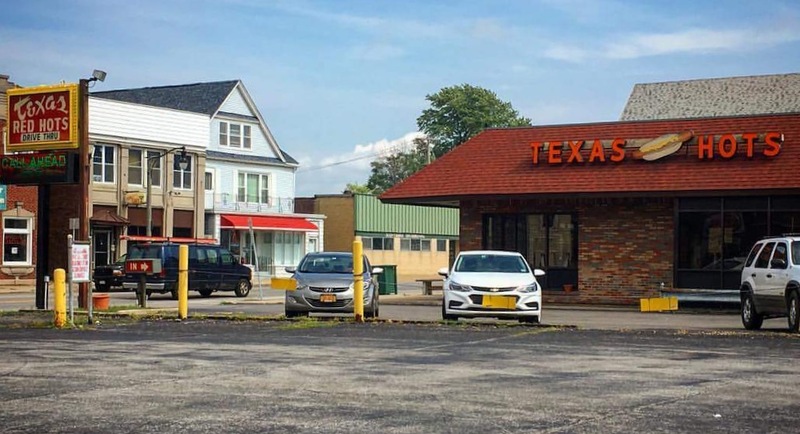 But even though the TV stars visited Tonawanda and the Front Park shop was successful, the namesake of Buffalo’s favorite dog stand always loved that first wayward shack where he spent hundreds of thousands of hours during six decades. “It was the place my father really had his heart in all these years,” Ted’s son Spiro Liaros said upon his father’s passing and the tearing down of the original Ted’s. 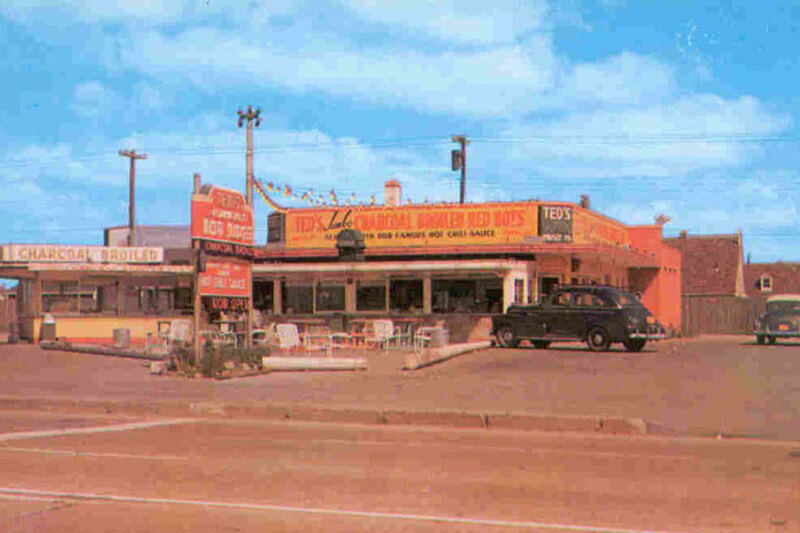 The original Ted’s was torn down to make way for easier highway access to the Peace Bridge in 1969. The Liaros family still operates Ted’s. There are few things we consider more American — and relish with more Buffalove — than the hot dog, especially on a nice summer afternoon. But that wasn’t always the case. Around the same time Ted Liaros was opening his first red hot shack under the Peace Bridge, Mayor Frank X. Schwab was working to rid Buffalo’s streets of what he saw as the great wiener menace. 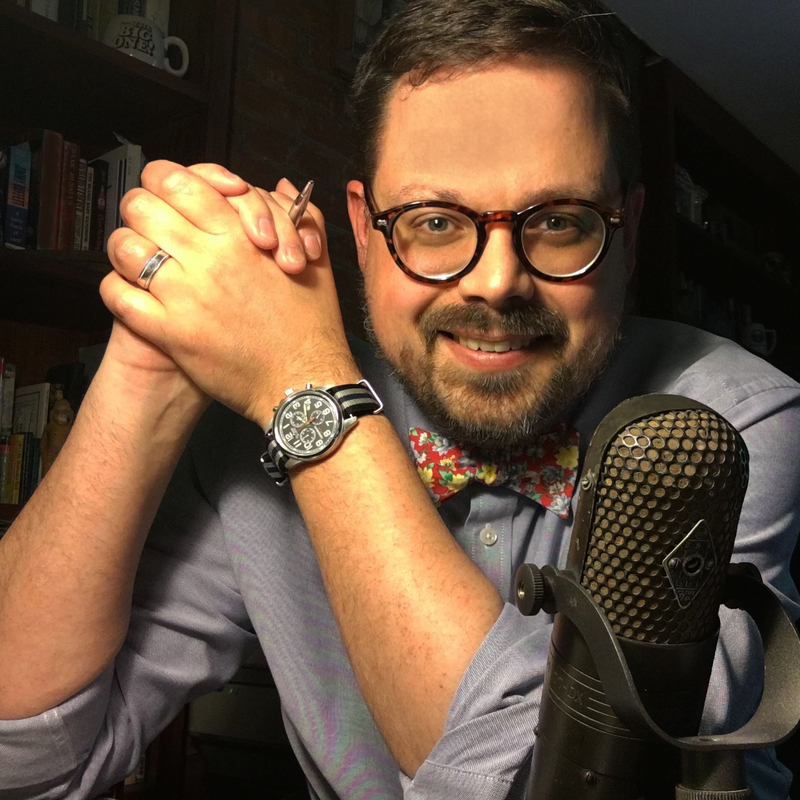 It wasn’t the hot dog itself as much as the apparent willingness of hucksters to set up almost anywhere without regard to surroundings or sanitation. Buffalo and hot dogs were a natural marriage. 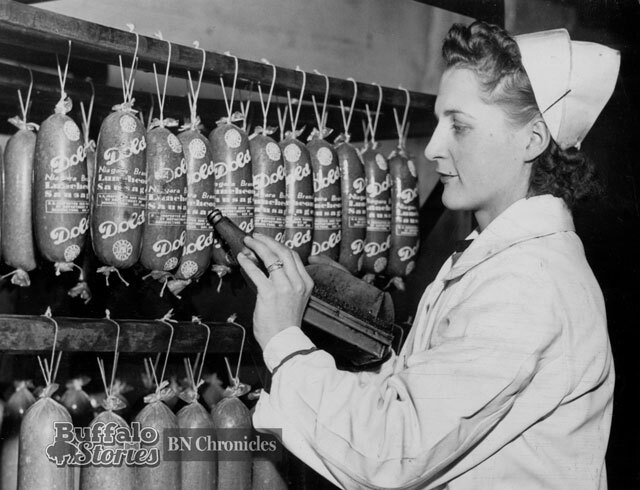 For decades, Buffalo had been one of America’s leading meat packing cities, and many of the great names in meat processing have been great names in the fight to fill Buffalo’s hot dog buns. 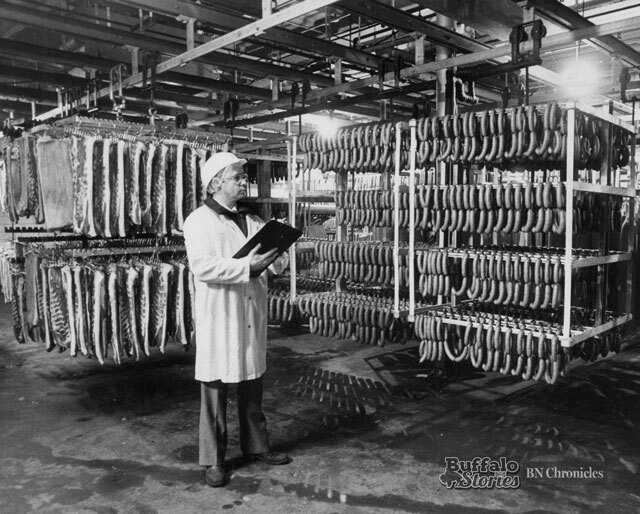 At one point, the Dold name was tops with “wiener sausage.” The Jacob Dold Packing Company was Buffalo’s largest at the turn of the century, even having a display at the Pan-Am Exposition showcasing “the art of curing meats.” Dold sold out to Hygrade in 1938. Frank Wardynski came to Buffalo from Poland in 1915, and soon after started running a butcher shop on Peckham Street in the shadow of St. Stanislaus Church in the heart of Polonia. 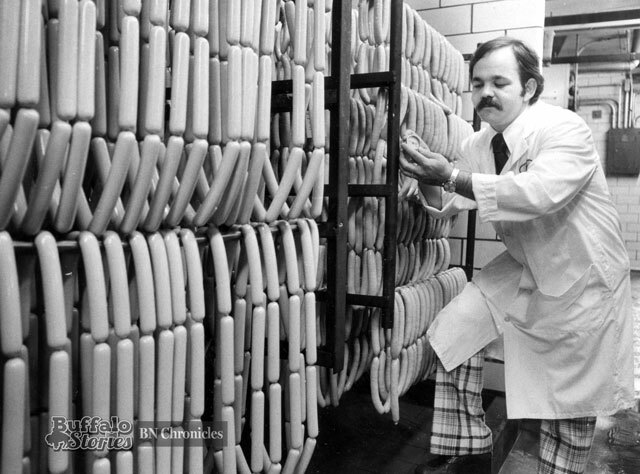 In 1979, Wardy’s turning out three million pounds of sausage a year. Today, the company is run by third generation ownership, which also bought the rights to use the name Shelly Meats. 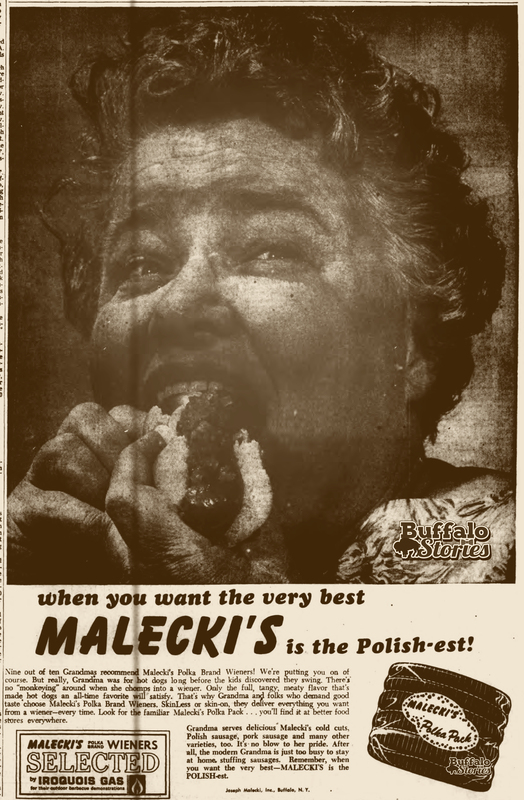 The cold cuts and sausages of A. Szelagowski & Sons were Buffalo’s favorite for decades. Coming to Buffalo in the same wave of Polish immigration that brought rival Wardynski here, Joseph Malecki was a butcher in Opatowek, Poland, when he came to Buffalo in 1914. 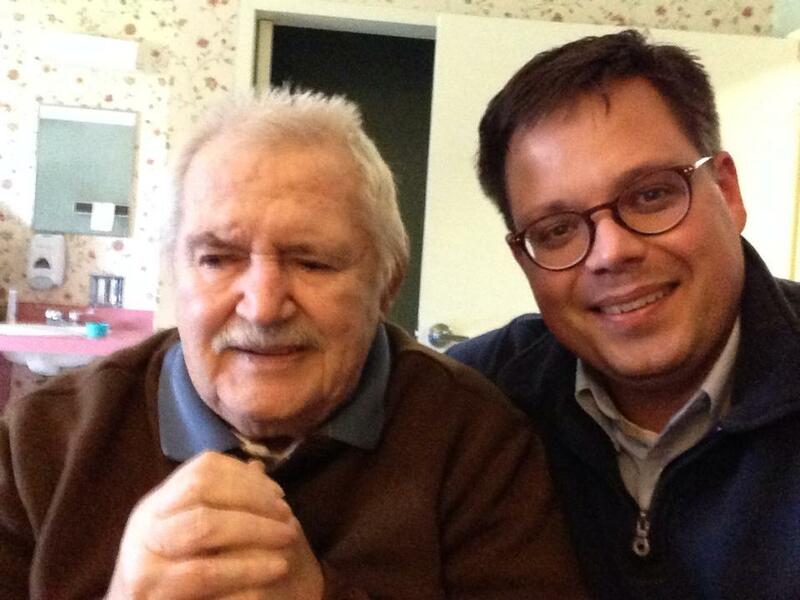 His children, Ronald and Virginia, were selling $2 million of Malecki’s Polka Brand Sausages by 1963. After 73 years of East Side sausage making, Malecki Meats closed its doors in 1988, leaving many lovers of their links heartbroken. 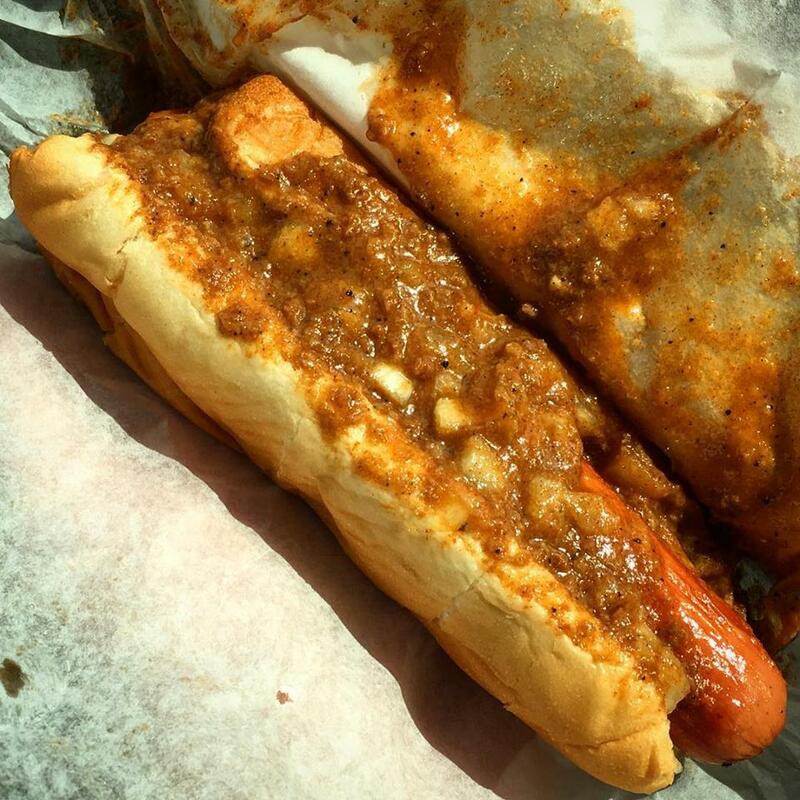 As the word of Malecki’s demise spread, countless Western New Yorkers made a trek to Ted’s for one last dog. 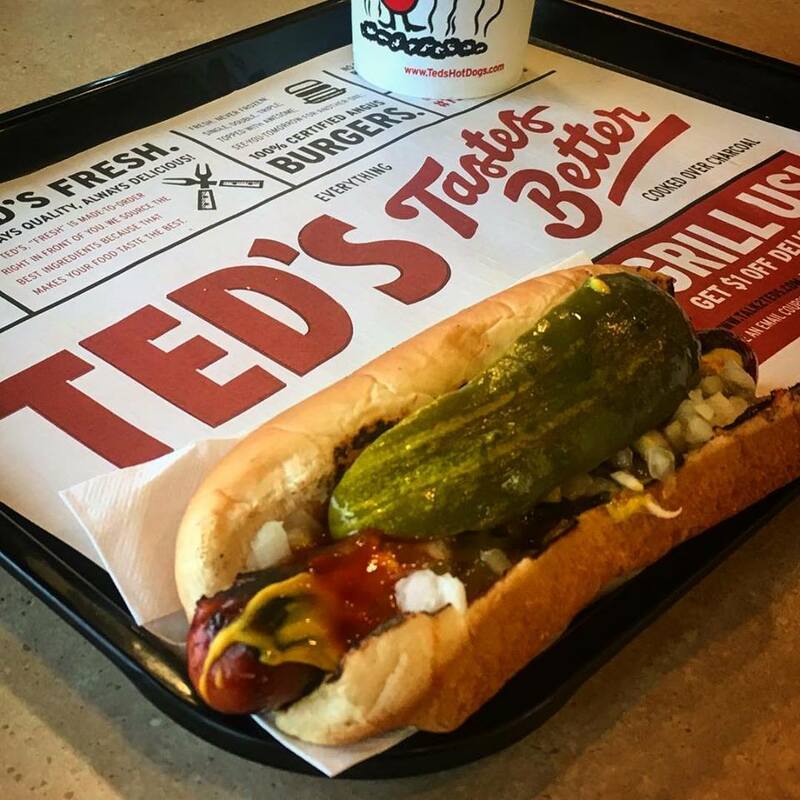 Ted’s now serves what is the undisputed king of hot dogs in Western New York, direct from the Sahlen’s smokehouse. 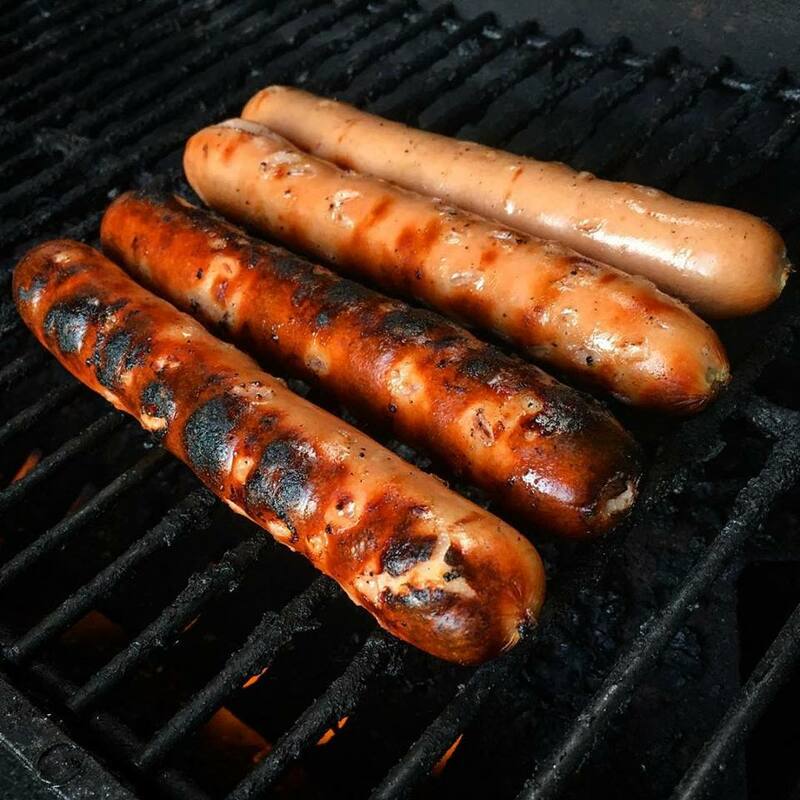 The Sahlen family has been processing meat and meat products for Buffalonians since 1869, and has been selling hot dogs since they started to be popular around the turn of the century. 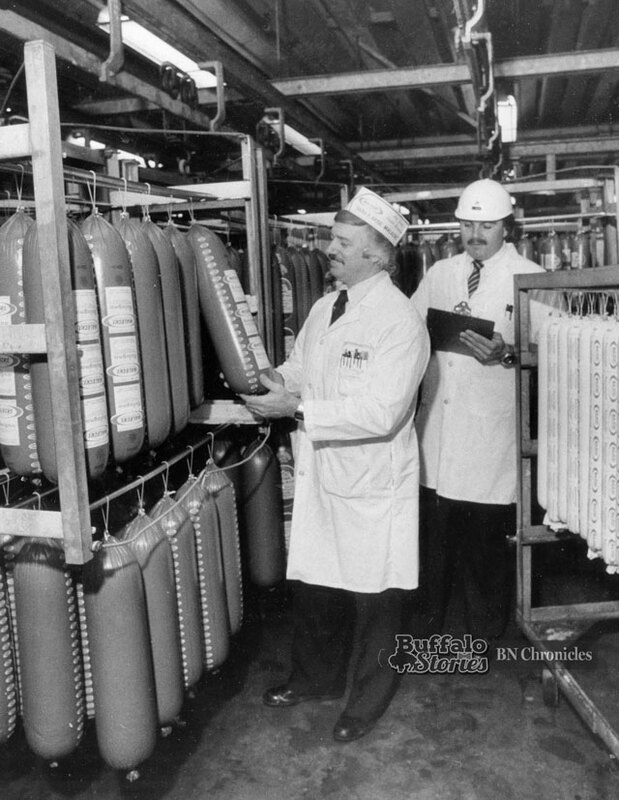 In 1994, Sahlen’s was bringing in $17 million in sales — about 60 percent of which was in wieners. They were cranking out about 40 million hot dogs a year, good for 70 percent of the Buffalo hot dog market. Who feels like cooking in this heat… Let’s go to Teds! Sheridan Drive, late 40s, early 50s. Give me a well done (aka burnt) loaded footlong with a toasted roll and a loganberry. And when asked, “Fries or rings?,” the only worthy answer is both.